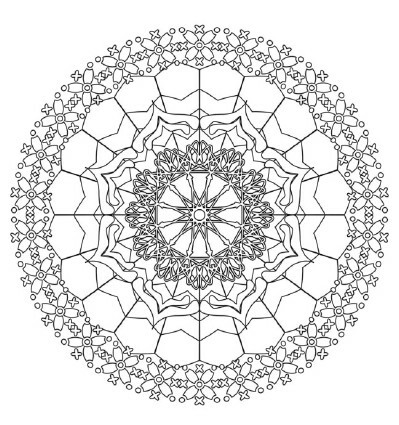 I’m sure you’ve all seen incredible mandala designs before, but are you actually aware of the meaning and history behind these complex works of art? 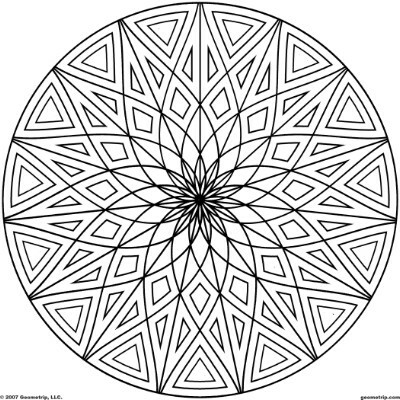 The word mandala comes from the classical Indian language, Sanskrit, which can be loosely translated to ‘circle’. In many Indian religions (i.e. 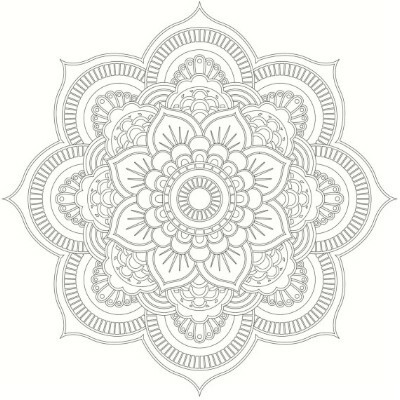 Hinduism, Buddhism), mandalas represent the universe – they can be seen as cosmic diagrams that represent the wholeness and unity among the worldly, the deities, and the celestial circles. 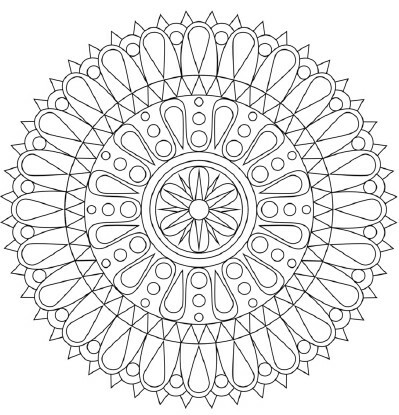 Depending on the specific spirituality, true mandalas share specific forms and rules in the design, although, as they have grown in popularity outside of their traditional means, some of the mandalas we see today in the western world may be more concentrated on geometric patterns or simply the feelings of the artist. It’s fascinating to see the intertwining of different cultures in something that is so beautiful to look at. Now, with the history lesson out of the way, why are adults going back to coloring in pictures? For many, it’s therapeutic and even meditative – a way to unwind, relax, get lost in the design, and create something aesthetically pleasing. And for those who don’t feel particularly artsy or creative, it’s a welcomed means to produce something beautiful with a little bit of help. Give it a try; I guarantee you’ll find yourself getting lost in the intricate and elaborate twists and turns! 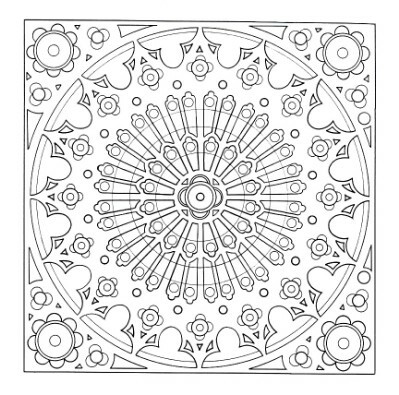 This mandala is actually inspired by decorative elements used in architecture – you may be familiar with the large central rosette that’s prevalent in a lot of French architecture. This one is a little more simplistic, so it’s ideal for beginners to get the ball rolling. I just love the outer eye designs that I find reminiscent of the ancient Egyptian Eye or Ra (aka Eye of Horus). The central star image here is a lot smaller than in other designs, so it’s interesting to see how the swirlings around it really draw your eyes inwards like a tunnel. I don’t know about you, but I was obsessed with those kaleidoscope tube toys when I was a child; this image takes me right back! 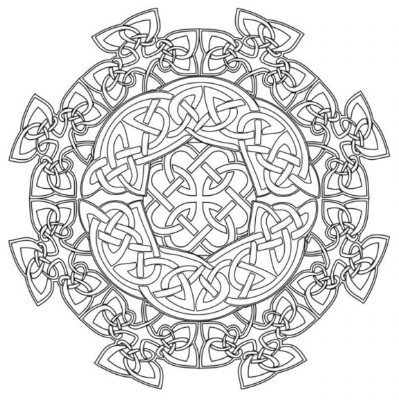 You can definitely see the Celtic inspiration in this design, which just goes to show how interestingly the traditional designs have been adapted and influenced by the art of other cultures. 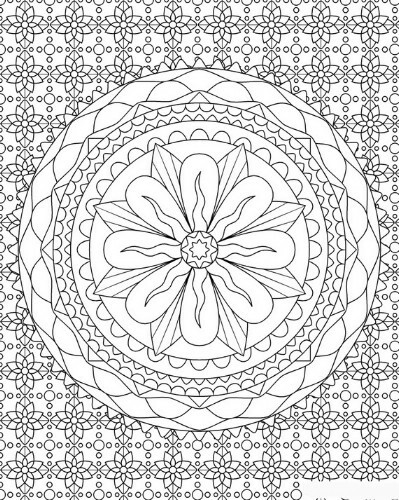 Although it includes a lot of small designs and shapes, this flowery mandala has a lot more open space than the others and seems less geometric. Which do you prefer? I absolutely love this design! It’s different in that the larger flower isn’t incased in a circle, and that’s exactly what appeals to me. 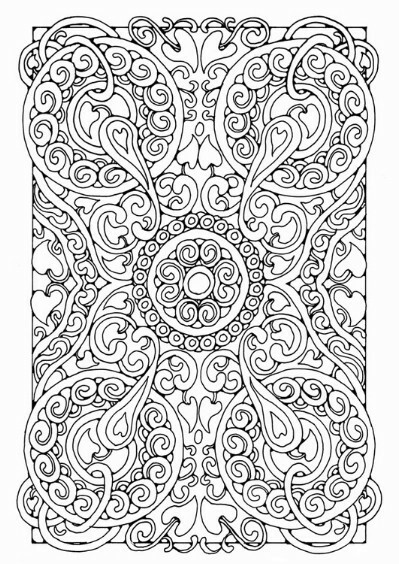 A whole series of these on a Download Printable Coloring Page: wall could make for some gorgeous DIY home decorations. This one is like a step up from the previous design – it’s a lot busier and contains more intricacies, so it’s sure to keep you entertained (and relaxed) for a good while. 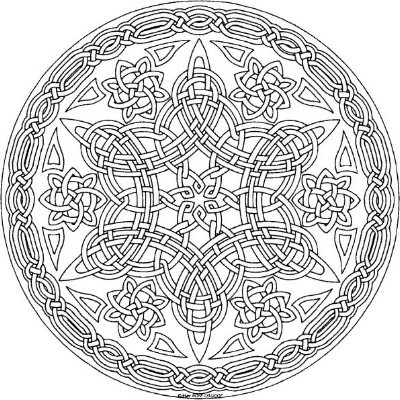 This mandala adopts the symmetry and basic structural principles of the traditional mandala, but it is, without a doubt, all about the Celtic imagery. If you really think about the stained glass windows from old cathedrals, you’ll notice the similarities in design across the different religions. 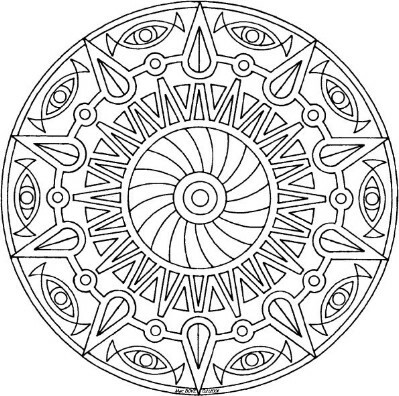 This mandala in particular really takes me back to those elaborate and colorful windows in Italy. 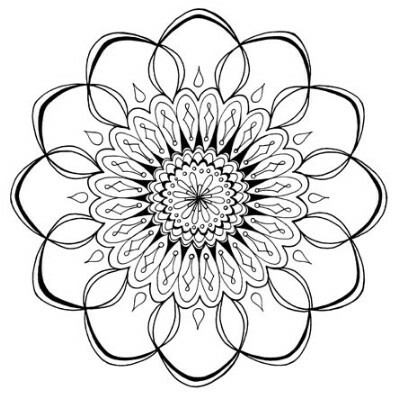 The lotus flower is a well-known symbol in Hinduism, Buddhism, and Egyptology, so to me, this mandala truly channels the richly diverse cultures and history. 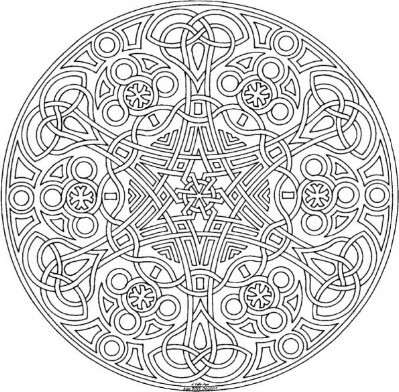 This insanely intricate design is a lot closer to the traditional mandala than the more modern ones we see today: the basic form that is followed here is a square/rectangle with four gates, and a circle in the center. The central design here is quite a simplistic one, but that busy patterned background is what really makes this a fascinating and striking image as a whole. 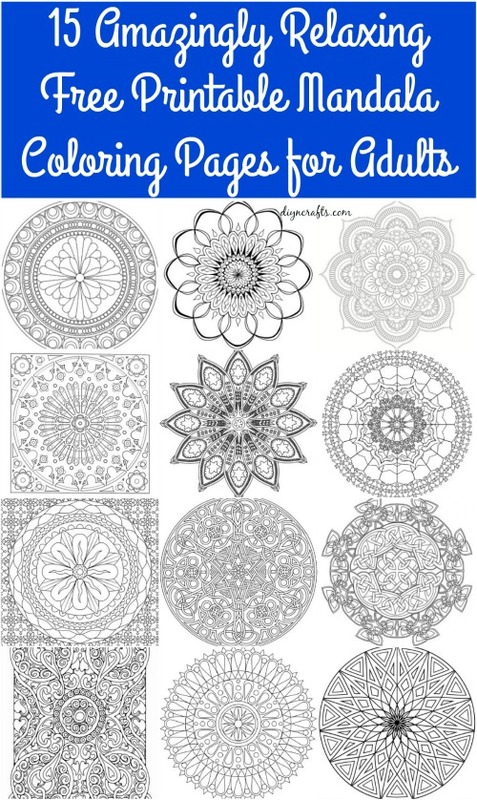 I couldn’t exactly call this minimalistic, but when compared to some of the other mandalas, it certainly is less complicated, making it the perfect starting point for beginners. 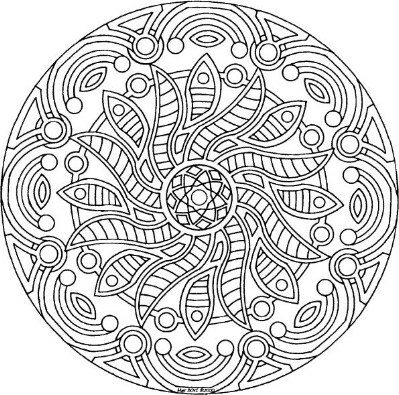 This mandala is the perfect example of how we have taken the basic idea of the traditional mandala and completely transformed it. As you can see, this is all about geometrics, rather than the flowing swirls of the others, but it is fascinating to look at and get lost in nonetheless. Loved the mandalas. Did not love the newzealand air pop up with the tricky X out. Ok, the first two times I understood but after the sixth one it was just annoying. I will NEVER fly New Zealand Air. Way too over the top pushy. Thank you for the lovely mandalas. Aww sorry just dismiss those, if you like something you see the link after image and it leads you to author’s download page. 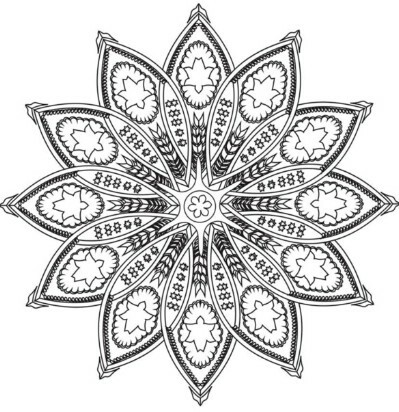 Hi, I absolutely love MANDALAS! I would like to print them out so I can color it as a form of therapy. Do you know if I can take these pics in a CD to a print shop and have them print it for me on a printable and larger paper? https://mondaymandala.com – I hope you enjoy it!